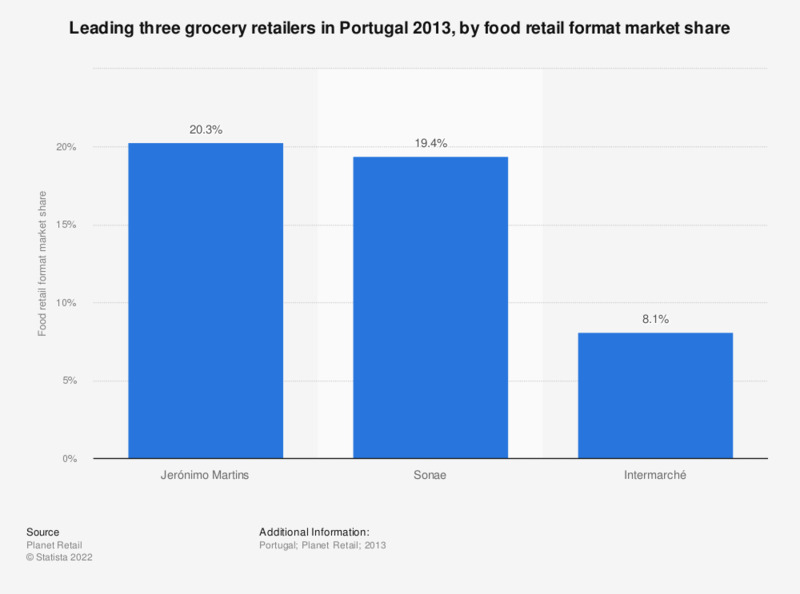 This statistic displays the leading three grocery stores in Portugal ranked by food retail format market share in 2013. In this year, Jerónimo Martins was the market leader with a 20.3 percent share of the food retail market. Sonae was close in second place with a 19.4 percent share.